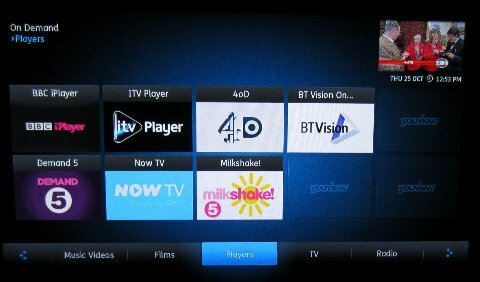 The digital TV service YouView, originally known as Project Canvas, launched in July 2012, and set-top boxes are now available. Here, we explore what the service offers, and give you the YouView basics. 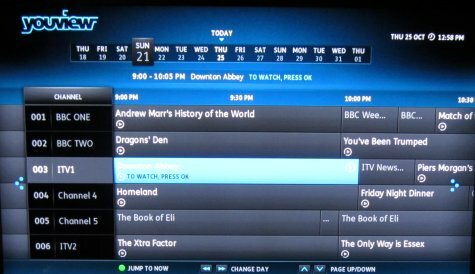 YouView, formerly known under the codename “Project Canvas”, offers live TV from Freeview, and on-demand TV content over the Internet. The service is a joint venture with partners including BBC, ITV, Channel 4, Channel 5, BT, TalkTalk and Arqiva. 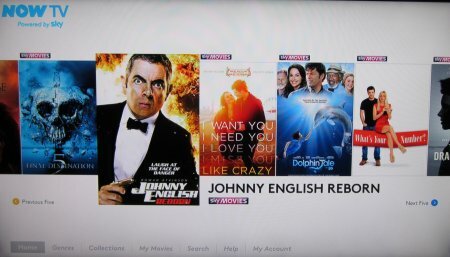 Special set-top boxes are now available that allow viewers to get live TV from Freeview, catch-up TV (BBC iPlayer, 4oD, etc) and a huge back-catalogue of free and pay-to-view TV shows. Don’t want to pay £250? YouView box available from BT (BT YouView) and TalkTalk TV – Saves £299! The set-top boxes needed to use the service costs £299, and became available in late July 2012 at Amazon, Curry, Argos, John Lewis and Comet. For this review, we’ve been looking at the first YouView box on the market, and that’s the Humax DTR-T1000. This is an attractive-looking box that does a good job of delivering YouView. The YouView box need to be connected to a TV aerial, a broadband connection and to your TV. Setting up the service is pretty straightforward – the only complication for some is going to be the challenge of connecting the YouView box to the Internet. As Internet routers typically aren’t close to the TV, then you’ll normally need to use a pair of Powerline adapters to get a connection into your lounge. We’ve more on this on our Connecting to the Internet page. The YouView team has done a very good job of creating an on-screen programme guide that is easy to navigate. Access to the guide is quick and easy, and the on-screen layout is very clear. Both BT and TalkTalk are partners on the YouView project, and that means that they are able to offer extra services. 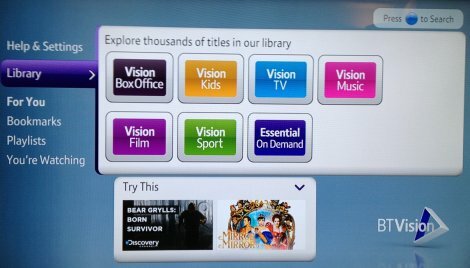 We’ve been testing YouView with BT, and if you get your box from them, you also get access to the BT Vision Portal, which offers thousands of hours of shows and movies. You can either get to content on a pay-as-you-go basis, or take out a subscription. At the time of writing, the basic TV service is just £4 a month. Details of what BT’s offering can be found here: youview.bt.com or on our BT YouView Review. We were initially sceptical of YouView. The service has come-to-market quite late, and seemed not to offer much that the likes of BT Vision weren’t already offering. Since having played with YouView for a while, we’re now quite impressed. The interface is very easy to use, the box behaves itself well (if not a little slow to boot), and there’s a decent collection of content around. the box is well-built, and the picture and sound quality is as expected. If you’re interested in getting more than just the basic Freeview, but don;t fancy Sky’s prices, then YouView could be for you. Got a question about YouView? Please contact us and we’ll be happy to help. Thank you for this information. I have just bought a freeview box and I am getting rid of virgin. I am disappointed with freeview or it could be the fact that I have to use a loft aerial. Anyway a lot of the programmes I tried to record over Christmas failed to record fully or the reception was terrible. Either way not happy. Will defo look into getting Youview probably through Talk Talk.